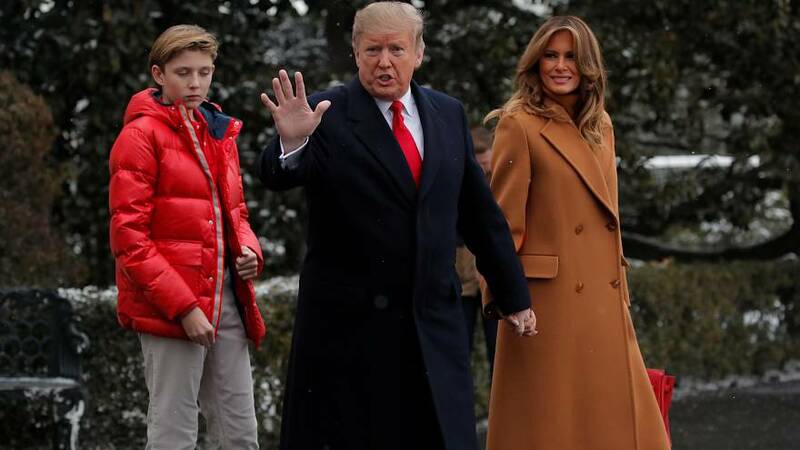 On the biggest day in the NFL calendar, the Super Bowl LIII, US President Donald Trump said he was not sure he would want his youngest son to play because it is a "dangerous sport". Trump added he was still a football fan, and that while equipment has been improved “it hasn’t solved the problem". "I hate to say it because I love to watch football. I think the NFL is a great product, but I really think that as far as my son, well I’ve heard NFL players saying they wouldn’t let their sons play football. So. It’s not totally unique, but I would have a hard time with it," he said. Trump noted his youngest son Barron, who turns 13 next month, is more keen on soccer, known as football in Europe. His latest comments contrast remarks made in 2016 during the election campaign when he said "the whole game is screwed up", because "football has become soft". The US president was also asked about the touchy topic of NFL players who demonstrated during the national anthem in 2017 against police brutality.